Winner of the Audience Award for Best Documentary at the Provincetown Int’l Film Festival, feature doc, Packed in a Trunk: The Lost Art of Edith Lake Wilkinson, uncovers the story of gifted and prolific lesbian artist Edith Lake Wilkinson, who was committed to an asylum in 1924 and never heard from again. Edith was part of the early Provincetown art scene and produced an astounding body of work. In 1924 she was committed to an asylum, encouraged by the family lawyer who subsequently siphoned off her funds. Objections had also been raised to Edith’s “close and constant contact” with her longtime companion Fannie. Once she was put away, Edith’s work and all her worldly possessions were packed into trunks and shipped off to a relative in West Virginia, where they sat in an attic for the next 40 years. Edith was never heard from again. Edith’s great-niece, Jane Anderson (Emmy Award-winning writer & director) grew up surrounded by Edith’s paintings, thanks to her mother who had gone poking through that dusty attic and rescued Edith’s work. Anderson learned to paint and draw under the influence of her great-aunt’s brilliant, light-drenched canvasses. When she started pursuing her own life as an artist, Jane began a decades-long journey to get Edith’s work back out into the world. The film follows Jane and her spouse Tess in their efforts to find answers to the mystery of Edith’s buried life, return the work to Provincetown, and have Edith’s contributions recognized by the art world. 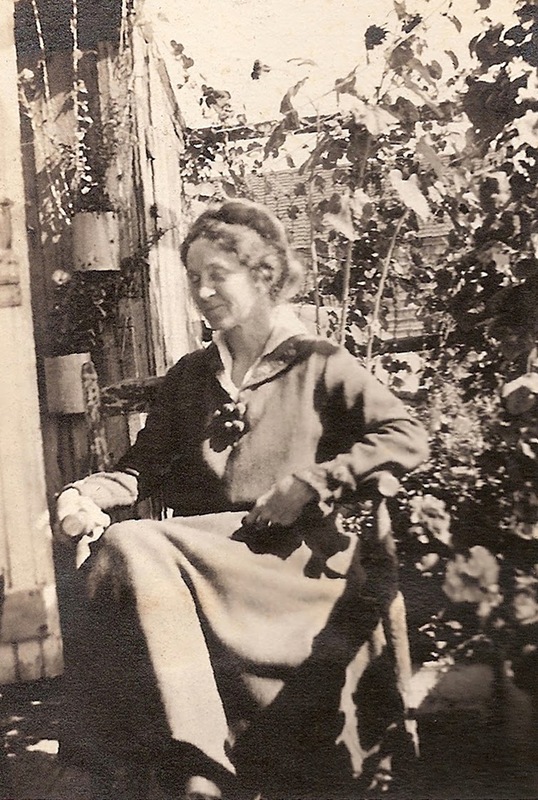 Packed in a Trunk: The Lost Art of Edith Lake Wilkinson is about rescuing the work of lost and gifted souls out of attics and closets and forgotten rooms. Packed in a Trunk: The Lost Art of Edith Lake Wilkinson debuts April 26, 2016 across all digital platforms including iTunes, Vimeo On Demand, and WolfeOnDemand.com, and is also available that date on DVD via Wolfe Video and many major retailers. Michelle Boyaner is an award winning Filmmaker/Writer/Director whose films have included the Documentary short films, Hi, You’ve Reached Dave’s Apartment, and Tina Paulina: Living on Hope Street; the Documentary feature, A Finished Life: The Goodbye and No Regrets Tour and the narrative shorts, You’re Still Young and The Bedwetter. Prior to her film work, Michelle wrote Oh, for God’s Sake Whisper It, a book of personal essays chronicling her beloved Grandmother’s battle with Alzheimer’s. Jane Anderson is an award-winning writer and director for film, theater, and television. Most recently, she wrote the critically acclaimed HBO mini-series adaptation of the novel Olive Kitteridge, starring Frances McDormand. Other work includes: HBO’s The Positively True Adventures of the Alleged Texas Cheerleader-Murdering Mom for which she received an Emmy, a Penn Award and Writers Guild Award for best teleplay. She wrote and directed The Baby Dance (adapted from her play) which received a Peabody Award, and Golden Globe and Emmy nominations for best writing and made-for-TV film. She wrote and directed Normal for HBO (adapted from her play) which garnered Emmy nominations, Golden Globe nominations and Directors’ Guild and Writers’ Guild nominations for best writing and directing. Her other television films include When Billie Beat Bobby and the first segment of If These Walls Could Talk 2 which starred Vanessa Redgrave and earned Ms. Anderson an Emmy nomination for best writing. Screenwriting credits include: How to Make An American Quilt, It Could Happen to You and The Prizewinner of Defiance, Ohio, which she also directed. Founded in 1985 and now celebrating 30 years as the largest exclusive distributor of lesbian, gay, bi and transgender (LGBT) films, Wolfe’s complete motion picture library can be found at WolfeVideo.com as well as at national retailers such as Netflix, Amazon and VOD destinations such as Comcast, Time Warner, Hulu, iTunes and WolfeOnDemand.com.